What a week. The WWDC keynote generated a lot of discussion, ranting, and much hullabaloo. Whether you liked what you saw or not, there's no doubt this series of announcements was a bigger deal than the last few years have given us. iOS 7 has garnered most of the attention, for good reason. But it's Apple starting from a clean slate and because of this I'd withhold my judgement for now. I like the overall direction and look forward to diving in next fall. 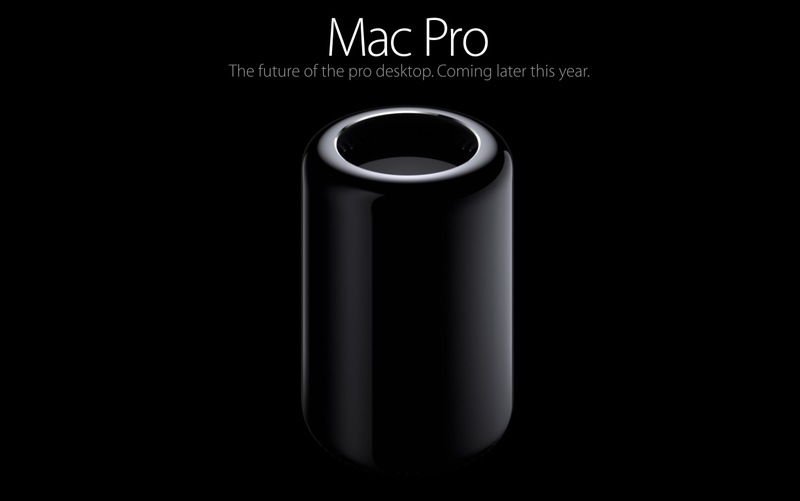 The Mac Pro was an announcement that excited me. Despite the fact that it's a machine I will never purchase, being too powerful to be justified in any way, it was a sign that Apple is not focusing completely on the iOS lineup. The design of the computer alone shows they are willing to work in their labs on whatever they think will interest customers and give a great experience. This bodes well for the Apple TV, iWatch, and whatever else is still more conceptual at this point. But what caught my attention most was the continual refinement of the OS X. This is what drew me to Apple as a company and it's been so enjoyable to use this platform as it's matured. This is also why concern over the visual aspects of iOS 7 are unwarranted. iOS will mature over time the same way OS X has. iBooks on the desktop is not something I see myself using a lot, except when testing iBooks Author. But keeping mark of your spot in a particular book with iCloud is great. Maps on the desktop however, that is a fantastic addition. I love to get a lay of the land before travelling somewhere new and doing this on my laptop will be a great way to research and plan. The send to iOS aspect is also helpful, as well as the ability to bookmark specific maps. The new look of the Calendar is a good change … we don't even need to say that. But continuous scrolling in the Calendar month view is worth the upgrade alone (I did find it odd that Contacts was not mentioned, but I will assume it has also improved). The Safari sidebar will be a much nicer way to handle bookmarks and Reading List. This is a place where OS X is taking cues from what we're learning from mobile and iOS. This particular change to Safari on the desktop is taking queues from Safari on the iPad. There were complaints of incongruence across apps in iOS 7, but Safari is proof to me that Apple has no sacred cows and the best experiences across devices will make their way to the others. The usefulness of 1password is surpassed only by its oddities. Keychain might be a good replacement … I usually hate to see a good 3rd party developer gets rolled over by Apple, but having my passwords accessible in Safari on my iPad, rather than in another app, is worth it for the end user. I'm looking forward to this change. Tags in the Finder … I'm not sure if I'll use this. It will make finding documents in iCloud easier, but Apple needs to ensure the process of adding tags to documents is dead simple. The screenshots of the Save dialogue looks like this will be the case. Tabs in finder will be lovely. Period. Could this be an RSS solution, a viable replacement for Google Reader? The functionality sounds a little different: updates from sites can be displayed in the NC, but there is no mention if RSS is the mechanism used. Requires adoption by third-party websites. This feature intrigues me the most out of all the updates. But it's a bit odd since Apple killed RSS from Safari not too long ago. Another lovely touch by Apple is the iterative improvements to their website. Apple.com features some of the slickest design around. All in all, it was a good week for Apple fans and I'm looking forward to the fall.